Many are the times that I have sat down to this keyboard full of excitement and energy and ready to pound out some of the great stories from camp that we shared with our guests this past summer. I have mulled it over – over and over – and never quite hit on a good way to get started. Here’s the problem. 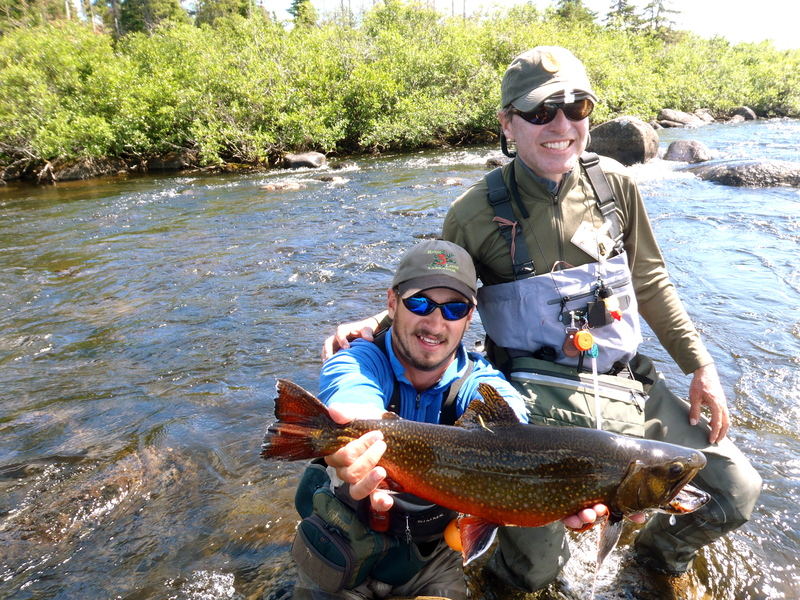 Stringing out a long list of big brook trout fought and caught falls unutterably short of describing the Three Rivers Lodge experience. True, we would have very few visitors if our waters held just ordinary trout. 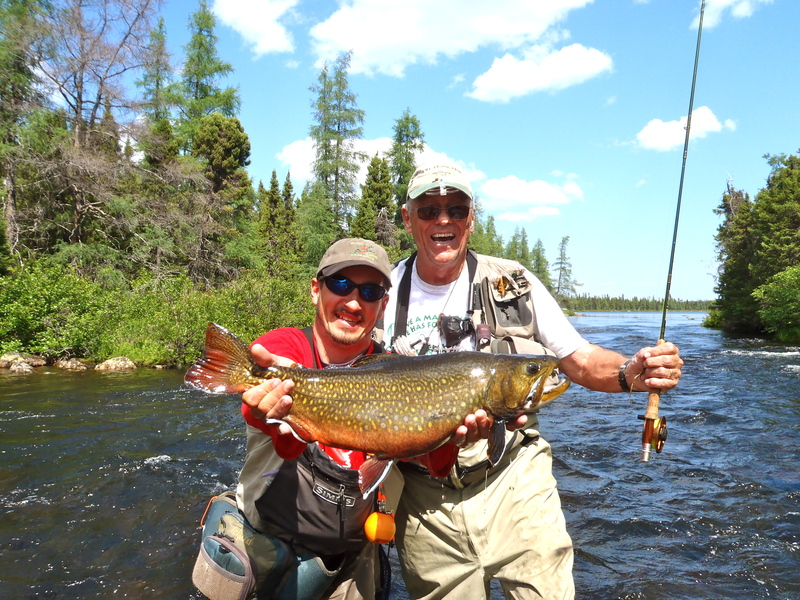 Folks come here to fly fish. 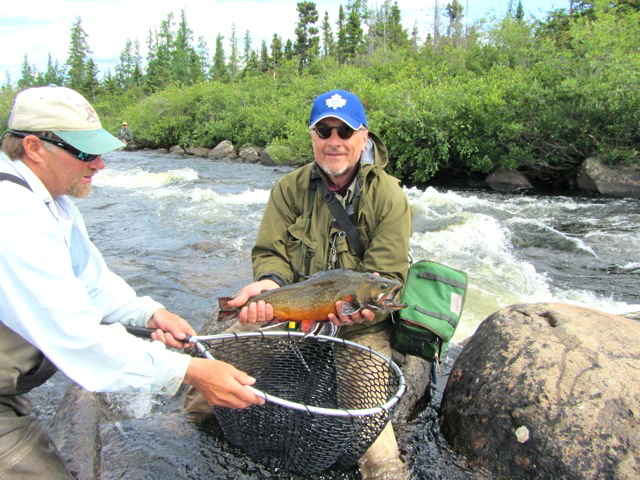 And in particular, pit their wits against the healthiest batch of trophy brook trout on the planet. But a week in camp holds so much more than just catching trout. Those of you who have been to our camps know a lot of what I’m feebly trying to get across. You know the addicting quiet of the wilderness, day after day seeing no other human form other than your fishing buddy and your guide. 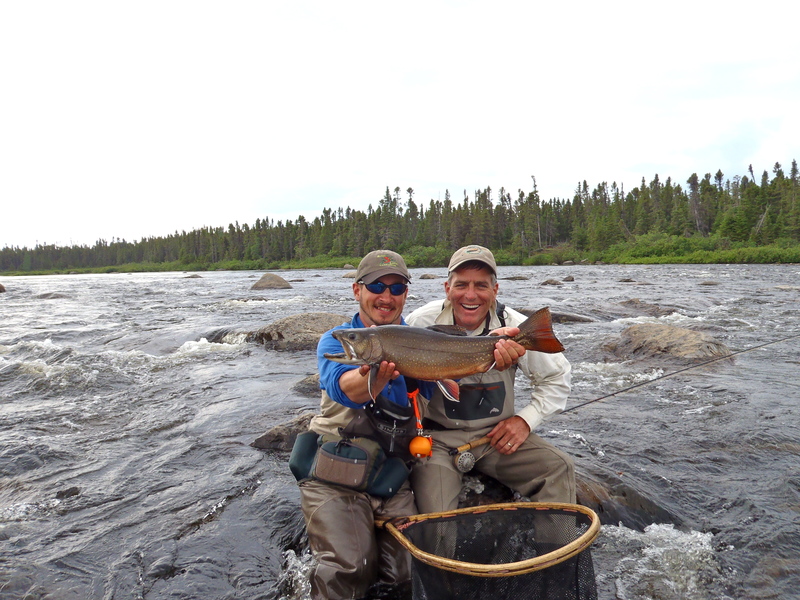 You know the adventure of stretching your neck to glimpse a riffle that rattles just beyond the next point of land. You’ve worked hard to get the hang of the dialect of your Newfie hosts, and shared their yarns and laughter. 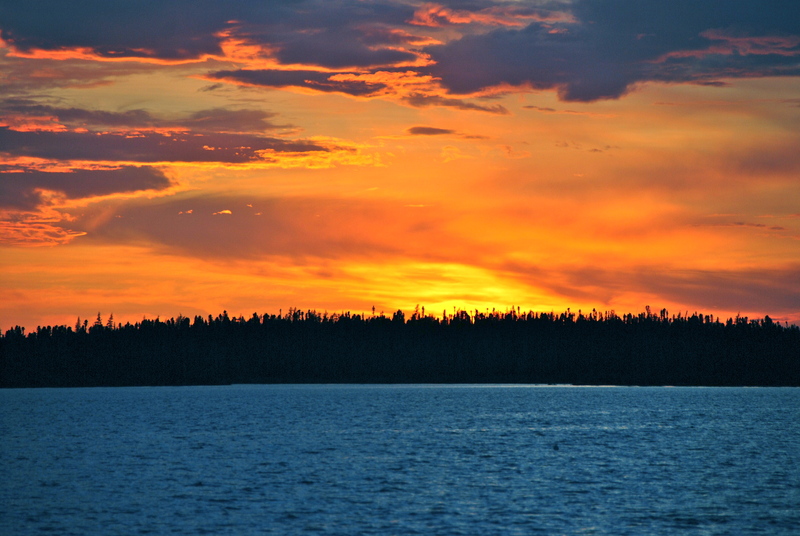 You’ve returned worn out and weary to evenings of comfort – big, full meals, warm cabins, and the stir and gab of fellow adventurers, still excited as the sun drops below the lake’s edge. So why do I struggle to find the right words? In the end, it’s really only a fishing trip, right? You know, a week away from worry and hubbub, and all that. It’s just fishing. I quickly caught his drift, muttered something, and mentally determined to sketch out a new, vivid approach to marketing TRL. Then the words of my friend John Gierach worked their way through my brain. His question made me think about my talks to various organizations and the typical accompanying power point presentations. He was right, I rarely flashed up pictures of trout under five pounds. 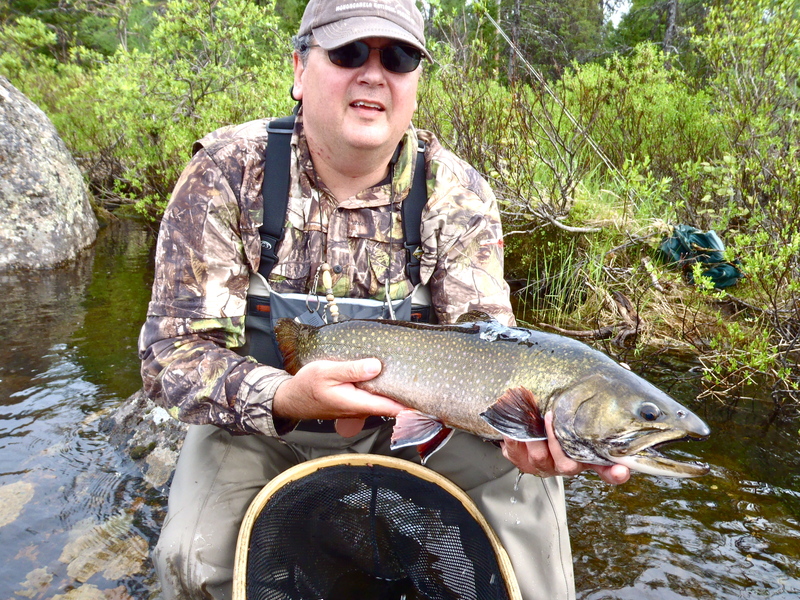 I was thumping the ‘good book’ of trophy brook trout. What about their lesser cousins? Fact is, we do appreciate the smaller brookies. We handle them all carefully regardless of size or beauty. It’s just with so many trophy trout stories at the table each evening, the younger trout are relegated to Rodney Dangerfield status, at least until they get a year or two more under their adipose. I know I’ve promised (and yes, several months ago) to post some big Labrador Reds here on our fishing log. So you see my dilemma. Well, maybe you don’t, but I do. I guess I just want to do the place right. 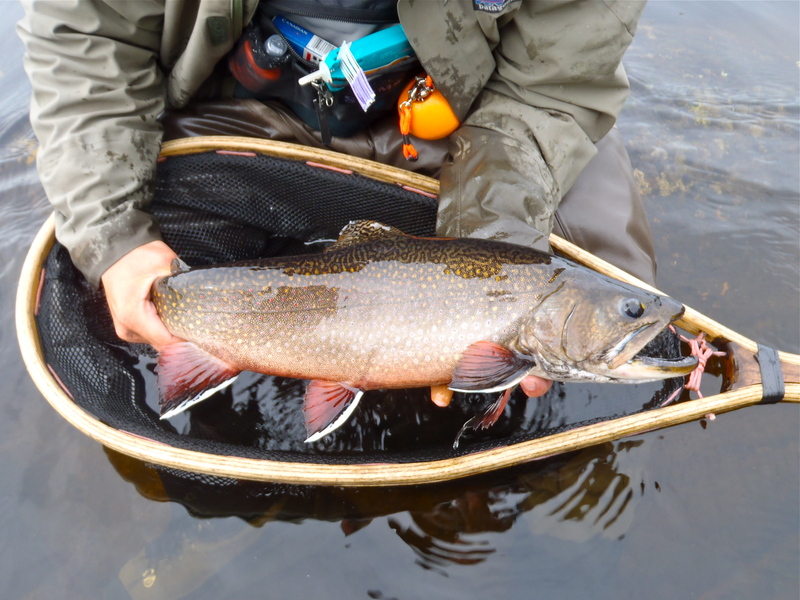 Respect the grace of a 2-pound brookie; marvel in the uniqueness of their larger brethren; quantify the depth of the adventure, the wilderness, the dedication of our staff and guides. It ain’t just about the fish. So here are a few 2011 ‘mermaids’. I hope you’ll see beyond the fishes to the remarkable experience that surrounds their catching. 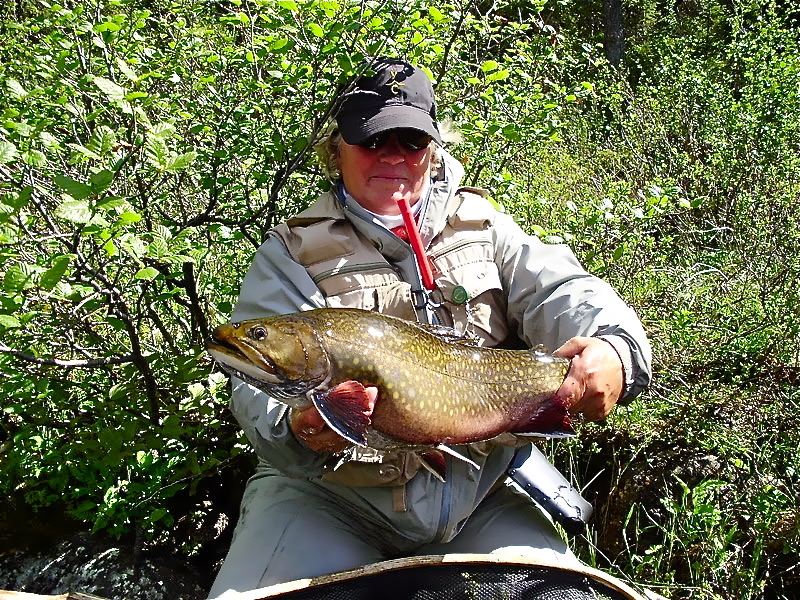 This entry was posted in Fishing Reports, Trophy Brook Trout, Updates. Bookmark the permalink. That’s what I was looking for! Sweet!